The fusion of a number of important factors combine to bring about the overall design of this dwelling. 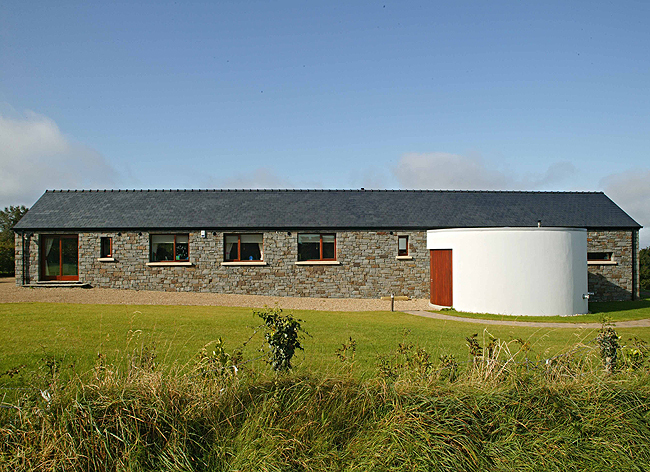 Its evolution is in direct response to the site, the client brief and its rural setting. We were asked to design an energy efficient house for modern living, one that would take advantage of its raised rural setting while always remaining sympathetic to its environment and the local architecture. For this reason, a blend of traditional building forms, together with subtle modern interventions were adopted so as to create an understated feel to this sensitive project.